Keeps dogs fascinated for hours. 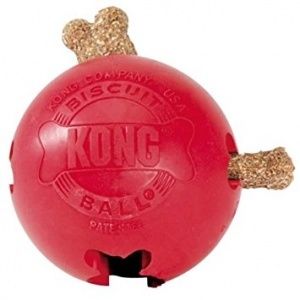 With all the strength of natural Kong rubber comes the ultimate food-dispensing chew toy. 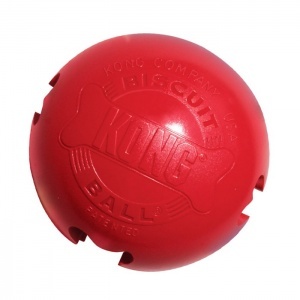 Designed with nooks and crannies it hides a wide variety of treats biscuits and chews. A carefully packed Biscuit Ball will keep your dog busy for hours with lengthy treat hunts - just when your dog thinks they've got that treat it rolls away and they have to start all over again.